Isis has claimed responsibility for a suicide bombing that targeted a Shia area of the Afghan capital, killing 34 students. The militant group said through its affiliated news agency Amaq that its bomber, identified as “martyrdom-seeking brother Abdul Raouf al-Khorasani” carried out the attack in Kabul. 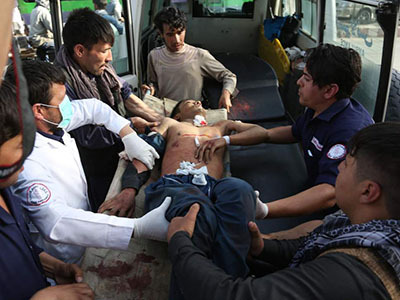 Afghanistan's health ministry has released a revised casualty toll, saying 34 students were killed and 57 were wounded. The attack targeted a building where students were preparing to sit university entrance exams. The Dasht-e-Barchi area is populated by members of Afghanistan's minority ethnic Hazaras - a Shia community that has in the past been targeted by similar large-scale attacks. Isis, which considers Shia Muslims to be heretics, frequently targets them, attacking mosques, schools and cultural centres. 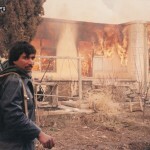 In the past two years, there have been at least 13 attacks on the Shia community in Kabul alone. The attacks, which come at the end of more than a week of assaults that have left scores of Afghan troops and civilians dead, show how militants are still able to stage large-scale attacks - even in the capital, Kabul - and undermine efforts by Afghan forces to provide security and stability on their own. Afghanistan's IS affiliate is known as the Islamic State in Khorasan Province. Afghanistan is really three legal systems within one: the state system, dating back to the reign of King Amanullah, inspired by the codes of Turkey and Egypt; sharia, founded on ancient religious texts and their interpretation; and customary law, such as Pashtunwali, the strict honour code of the Pashtuns. Only the first two of these are explicitly recognised in the country's constitution. Still, the result is a confusing labyrinth of rules and norms, which only heightens the challenge of providing high quality and consistent justice.